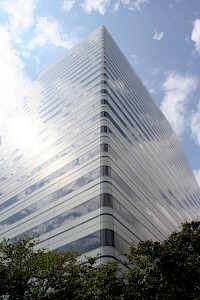 The Capitol Center, located in Columbia, South Carolina, is the tallest building in South Carolina. 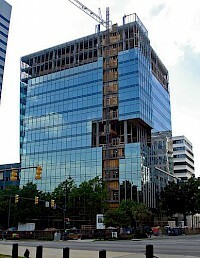 the capital center tower have 1,200 to 1,500 people inside every day and about 100 to 200 offices.A 25 story skyscraper, it has been the tallest building in South Carolina since its completion in December 1987. The tower was built on the site of the former Wade Hampton Hotel which was imploded in July 1985. Main and Gervais is a high-rise building in Columbia, South Carolina. Built in 2009, the tower has light blue glazing and is adorned with columns, giving the building a modern, stylized look. There is a also an outdoor dining plaza at the base of the building between its ground and Gervais Street, looking towards the South Carolina State House. The buildings main use is for commercial purposes. But it also houses a restaurant, service branches and a parking garage. Tower at 1301 Gervais is a high-rise building in Columbia, South Carolina, and the tallest building in the city not located along the Main Street corridor. Built in 1973, the tower has dark glazing with anodized aluminum columns to give it a dark, uniform-colored appearance. The top floor of the tower holds a private club with views of the city. 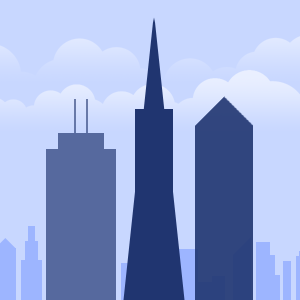 It was originally constructed for Bankers Trust as their headquarters.